We first learned about the Tulsa, Oklahoma beer scene from Chase Healey, owner/brewer of Prairie Artisanal Ales. The scene is small, but growing, and the distribution is slowly making its way to NYC (see our story on Prarie’s new-to-NYC Birra here). 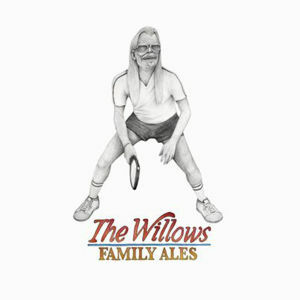 A great new addition to the scene is Heath Glover’s The Willows Family Ales, a sour only startup. We spoke to Heath to learn about his philosophy, his beer, and his amazing labels. Where’s The Beer NY: When did you start brewing beer yourself? Heath Glover: I have been home brewing for quite a while. Commercially, I just started a few months ago. Chase Healey (Prairie Artisan Ales) took me under his wing and has helped with the the huge learning curve that comes with commercial brewing. WTBNY: What led you to start distributing beer commercially? WTBNY: What led to your concentration on sour beer? 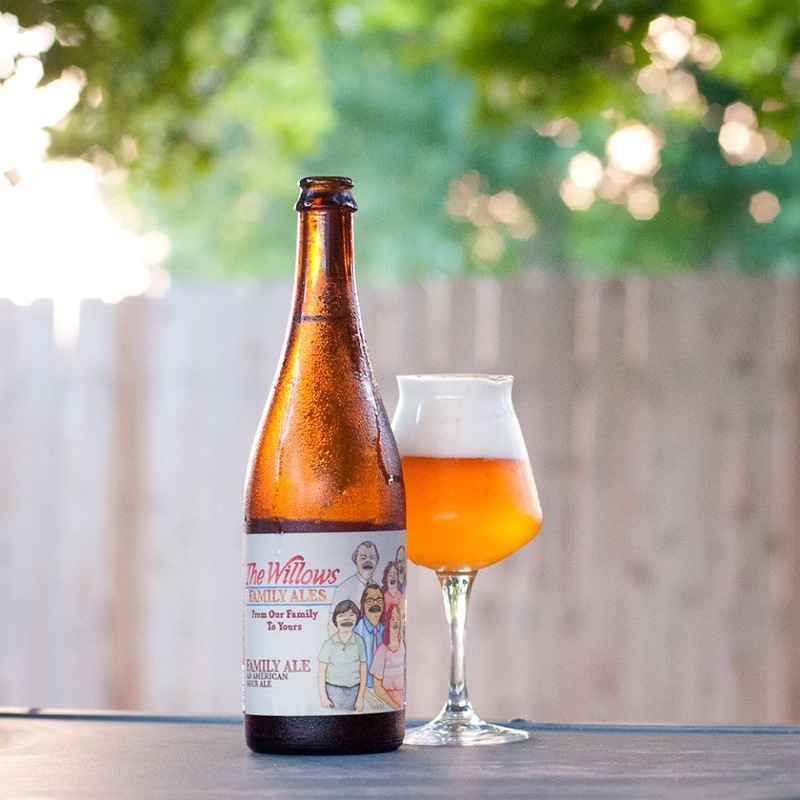 When did you discover/first brew a sour beer? HG: Sour beer was the last style of beer that I fell in love with and it never left. I see sours as very beautiful in their creation. I have played with sours in the past, but about a year ago, I developed a sour that aged on papaya and pineapple for nine months and it blew me away. That was the form of art I would craft going forward. WTBNY: How did you get started with the Prairie guys? HG: I got to know Chase through beer events and began helping him at events in and out of state when I could. My company got bought out in November and though I was still being paid by them, I needed to be out doing something. So, I started helping at the brewery and then it became a full time thing. After some talking, Chase offered me the chance to start my own brewery out of his brewery. I found that my own brand would fulfill everything I have ever loved to do. I love making beer, I love making things with my hands, I love talking to people, and I have found a new love for traveling that I never had the chance to experience in the past. I get to brew Prairie beers with Chase, who is amazing, and I get to travel around and meet other amazing brewers and beer lovers. How could you not have that dream? WTBNY: Can you give us a rundown of the beers you offer? What are some of the most unique aspects or ingredients of each beer/any other significant details about each beer you’d like to include? HG: Right now, the only beer available is Family Ale. I wanted this first sour to be a little less sour than what I will brew later. I wanted people who haven’t experienced sours to be able to have a place they could be introduced to them. In Oklahoma, we don’t have many options on the shelf in the sour style. I think Chase and I have a love for our state that shows through our beers. Family Ale is a locto sour that we bottled with Brett Lambicus. It will be exciting to see what happens to the flavors over a long time period. Tarty and Rose will be the next beer we brew and will be a sour brewed with rose hips. Probably around July for that one. WTBNY: Your bottle labels are really unique—what influences the style of the labels? Do you just leave it up to Joe Cappa to design whatever he feels like or do you give him some ideas/Are the labels are a reflection of the beer? How did Cappa get connected with you? HG: Joe’s art is amazing and he is one of the most talented individuals I have ever met. Once again, I have been lucky to know these two very talented guys and work with them. I wanted my labels to reflect how I see the beer community. I see it as a big family and I like how Joe draws everyone with the same type of mouth. To me, the art says that we all have something in common in one way or another. Joe just creates the people from his own influences. I sometimes use the labels to pay tribute to people that I have met in my life that have had an impact on me in a small or big way. I wanted the labels to tell people that it is because of them that we do this. Without those beer community family members, we couldn’t do this. It is also amazing to see what Joe will do next. I give Joe very little direction. I give him a name and the type of sour it will be. If the beer is a tribute to someone, I will send him a picture and some bio info. His beautiful brain does the rest. WTBNY: You’ve been traveling a lot recently—can you tell us about some of the things you’ve learned on your travels and how it might influence your beer? HG: I never know how these experiences will influence my beer until I’m thinking of the next beer. You pick up little tips and tricks and see how everyone grows in their own way. You see your struggles and sweat in other brewers. You hopefully help each other and learn how and why each brewer loves his creation.I think we get the most from the culture in the areas that we travel. The people, culture, and beer. They all need each other and they are all tied together. It’s one thing to drink a beer in Copenhagen, its another to drink it with a local and hear their stories. WTBNY: What are some of your favorite breweries? Do any other brewers influence how you brew? HG: In no particular order: Cantillon, Fantome, Jester King, Russian River, and of course Prairie. I have to stop somewhere, because there are so many amazing breweries and they all produce crazy good beer. I think all beer influences me. It’s all part of the journey and you may not know it at the time you are experiencing the beer, but it always sticks with you. You can conjure it up when you need to. WTBNY: What are some the challenges you face as a new brewer/brewer in general? HG: Learning to deal with being your own worst critic. You have to do your best and do what you love and hopefully others taste that passion. You think you are at your best when you are questioning and that causes you to push yourself to make better beer, but you have to make sure you don’t let it consume you. WTBNY: Do you have any beers you’re working on that you’re excited about? Anything coming to NYC? HG: We are trying to get the second batch of Family Ale to NYC and hopefully have a release at Torst in Brooklyn. I’m excited about starting a barrel program in the future. Right now it isn’t possible, but soon. May 20, 2014 in Beer, Breweries, Interviews.